Bout #24: A character profile by one of the best character actors ever against the first war movie with guts and a war advisor to show em how it’s done. Ding! About Schmidt: Not every movie needs a plot. This is a good character profile of a man at the precipice of his retirement. And by good, I mean completely average. 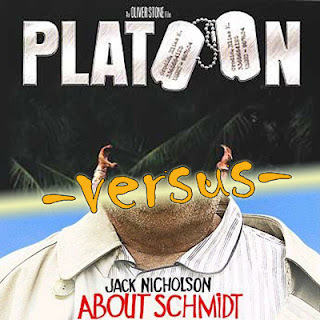 If you’re looking to figure out if a movie is above or below average, figure out if it’s better or worse than this movie and you’ll have your answer. 5 bugs. 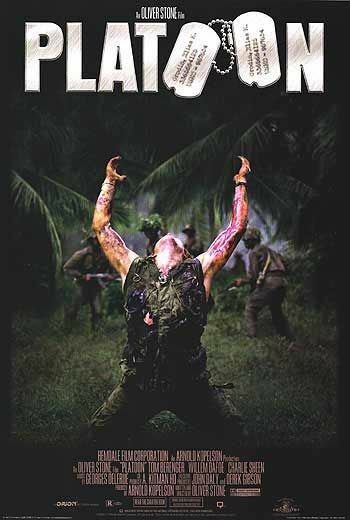 Platoon: This movie marked the first chapter of Dale Dye’s new career as war movie advisor. It had something most movies before it didn’t have. Like four Oscars. But it also cheapened it with superficial narration and overacting. 6 bugs.